Growing up in a working-class, immigrant dominated community in Australia, Lucy is pretty comfortable. She works hard at school, she has a group of friends, and she helps her Chinese immigrant parents at home. 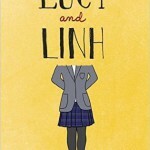 When Lucy is the only one picked for a scholarship at a fancy and elite private school, she suddenly has to learn to navigate her new world at school–and, surprisingly, her world at home. The book is a complicated look at the immigrant experience. Lucy is ethnically Chinese, but her family is from Vietnam, so culturally she’s more complicated than many people in the book expect. Lucy’s home situation isn’t the best–her mother makes knockoff designer clothes, and her living conditions is making her baby brother sick–so even before she gets accepted to her new private school, things aren’t perfect. 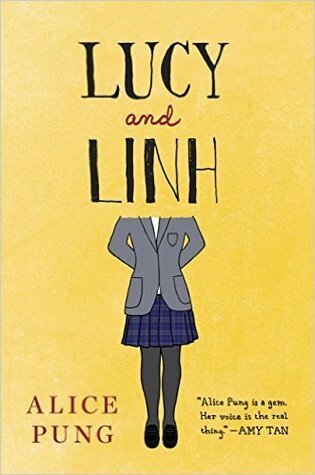 The book really leans into the cultural differences and veiled racism from many of the people Lucy encounters at her new school, including from well-meaning people. The book also explores the nature of gatekeeping at elite private schools, especially when it comes to marginalized students. Lucy is told she was selected for the scholarship because she scored well on the test, but didn’t seem like a cliché or a robot–unlike her classmates, who were passed over because their personal essays seemed inauthentic. But when Lucy is authentic, behaving the way she wants to instead of falling in line–she’s threatened and punished. Lucy is praised for being free-thinking, but punished for evidence of that thinking. The contrast between Lucy her friends from her old school is stark and at times almost chilling. Lucy views her old friends and everyone in her old life as people who are stuck in their neighborhood, with limited options for the future, whereas Lucy is on her way out. There is a lot that many students can relate to. Really, any student who engages in any kind of regular code-switching–between school and home, friends and family can get a lot out of this story. Aside from the cultural/identity elements, there is a lot in here about bullying and manipulation that is pretty powerful. Reading this book with a class could be a great way to integrate anti-bullying discussions into the curriculum. This is very much a 7-12 book. The level of cruelty from the bullies alone makes it not appropriate for elementary. I have it in my classroom library, but I do keep an eye on who’s reading it, in case it’s someone I don’t feel the book is appropriate for. There isn’t horrible language or anything, but high school bullying is such a part of the book that I think it’s important for middle and high schoolers to be able to read, but it would be too much for younger students.